A Calgary grandmother outsmarted would-be phone scammers, and is now warning others to be cautious of this sophisticated scheme. A Calgary grandmother outsmarted would-be phone scammers and is now warning others to be cautious of the sophisticated scheme. Anne Buckley was at home on Saturday when she got an unexpected call to her landline. "It was a very classy-sounding lady with a lovely British accent who said she was the manager of Tiffany's in Chinook [mall]," Buckley said. The woman, who said her name was Mary Gilmore, said she was calling to warn Buckley someone was trying to charge $14,000 to her credit card. The woman had Buckley's name and home address and told her they would not ask her for personal information but insisted Buckley call her bank. CBC News previously reported on this scam back in February when victims in Toronto were duped out of more than $5 million. It usually goes like this: scammers call the would-be victim on their landline and purport to be a retailer contacting the victim to report their credit card is being used for a fraudulent purchase. The caller tells the victim to contact 911, or, in some cases, their bank, to alert them to the attempted fraud. 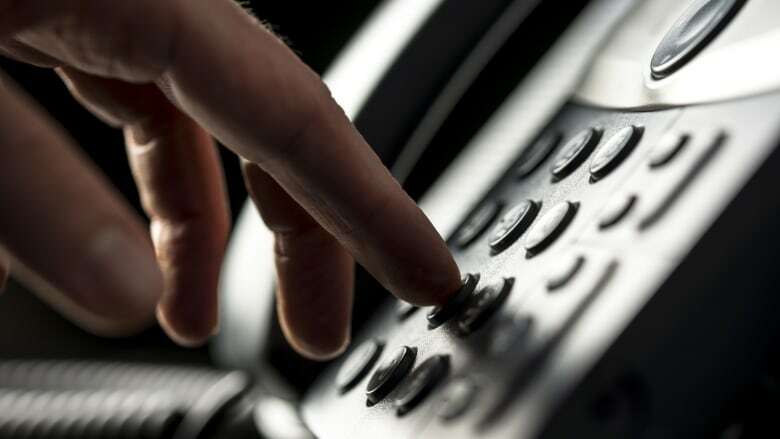 The crux of the scam involves the victim, believing the caller has hung up, dials 911 or their bank. In reality, the scammer remains on the line and the victim then speaks to another partner in the scam, posing as police or a bank investigator. In the case of the Toronto victims, they were urged to transfer money into a specific, separate bank account to protect it during the "investigation." Buckley believes in this case, they wanted to pose as her bank so she would reveal her credit card information. While the woman on the other end of the line sounded convincing and wasn't asking for any personal information, Buckley knew something wasn't right and remembered reading about a similar incident in the news. "I remembered the story, so I wasn't phoning my bank or anyone from my landline," Buckley said. "I looked online and there had been no purchases go through my card, however I was concerned. I thought it was a scam but I really wanted to make sure this wasn't going through on my card, so I phoned Tiffany's." The employee at Tiffany's confirmed Buckley's suspicions that no Mary Gilmore worked at that store. They also told Buckley she was the seventh person to call with the same concerns that day. When Buckley failed to use her landline within five to 10 minutes, the fake Tiffany's manager called again and asked if she had made the call and kept pressing her to do it. She also said Buckley could give them the phone number off the back of her credit card — which would reveal which company she deals with. Tiffany & Co. confirms there is an open investigation into the matter with the Calgary Police Service. Buckley has been in touch with police to have her information added to the file.